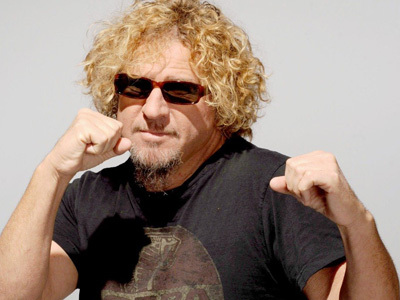 Chickenfoot frontman Sammy Hagar supports the global Occupy campaigns – only he doesn’t know it. His lack of awareness seems to be just another example of how corporate mass media has managed to obscure the meaning of the international uprising against banking greed that’s brought the world’s economic system close to collapse. Most major media outlets either suggest Occupy Wall Street campaigners either don’t know what they’re protesting against, or are protesting against a wide range of issues. But the OWS website clearly states it’s all about “financial greed and corruption”. Asked his opinion of the movement, Hagar tells Attention Deficit Dilirium: “I think it’s the weirdest thing I’ve ever seen. I never thought I’d see anything like that in my lifetime. I’m kinda shocked by it. But when the singer expands his thoughts he winds up saying exactly what campaigners have been saying for the past few months. “I’m tired of people suffering,” Hagar comments. “That’s not what I’m into. But it does need to be reformed and needs to be changed. I can’t stand white collar crime. That’s worse to me than some poor guy in the street who’s broke, homeless and hungry and goes and steals something out of a convenience store. To me, that ain’t crime. 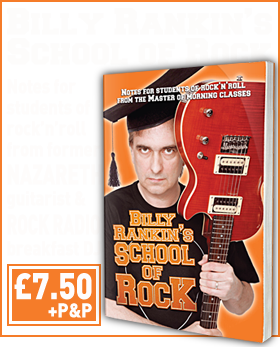 “Crime is when you’re rich like with Enron and those kind of things, those people who still cheat and steal. Those are bad people. That’s like the devil. I can’t stand that, and there’s a lot of that going on. Meanwhile, David Crosby and Graham Nash made an impromptu appearance on Wall Street to play in support of the protest campaign.